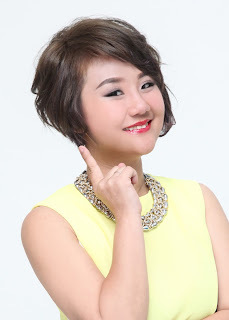 Q: How to make the right choices and take care of your skin effectively? A: Most of us often enticed by luxurious looking creams in expensive packaging, misled by others regarding "which" products are suitable for our skin, which probably provide no differrence to the skin or worsen the condition. Quantifiable skin measurement enhances the understanding of your skin and aids you in caring for your skin effectively. To know what's the skin condition. To get the right product that best suits the skin. The Bioelectric-Impedance Analysis Technology aids your skin by providing skin profile scores in Visual and Quantifiable Percentage (which a mirror cannot reveal) within 3 seconds on a LCD display. It Does More – Understand your skin Moisture (water percentage), Oiliness (skin type), Roughness (dead cell thickness). It Cost Less – As skin care guideline to Save Money, Save Time. It’s Simple & Easy – Simple Operation to maintain your healthy skin condition Anytime, Anywhere. With just 3 Simple Steps - you will know your skin profile Anywhere and Anytime! Remove the cap and press the Start Button to turn on the device. Press the 2 contact probes slightly against the area of the skin for about 3 seconds till you hear a beep. Once the measurement is complete, there will be a beep and a signal will appear on the LCD screen displaying the scores. Air-conditioned rooms, different working environments and different climates will affect your skin. 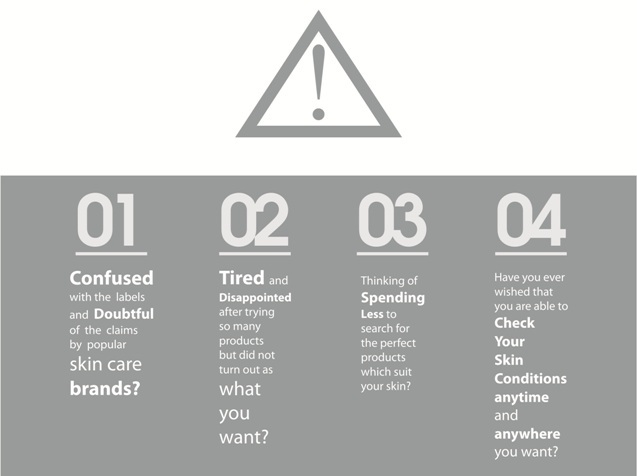 The UmeSkin analyzer determines the condition of your skin so you will know what should be done to improve your skin. Valuable information such as your skin profile is provided just at your finger tips. 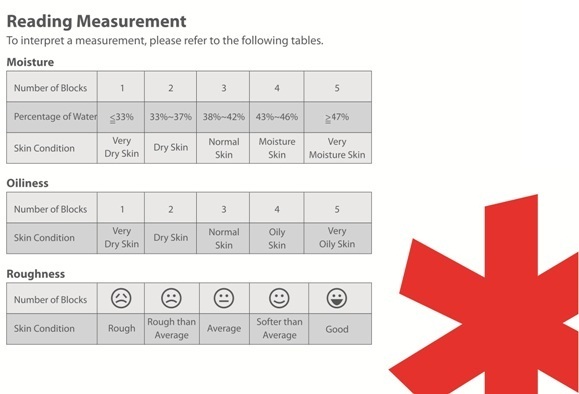 It is a fantastic measurement tool for skin care product users to see the real performance and effectiveness of products. It helps to determine the Right skin care products works best for the skin and save you time & money. Small and light with the size of a lipstick for Easy Carry, making it possible for the user to check and take care of their skin easily anywhere and anytime. Even at Home. 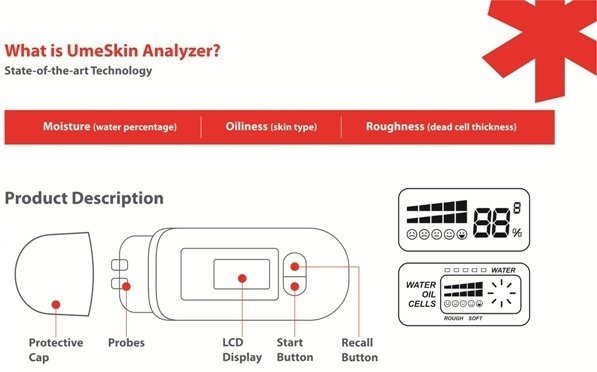 Q: Where I Can Purchase This Awesome Product, UmeSkin Analyzer ? Ya, Very easy to use and analysis your skin at home!